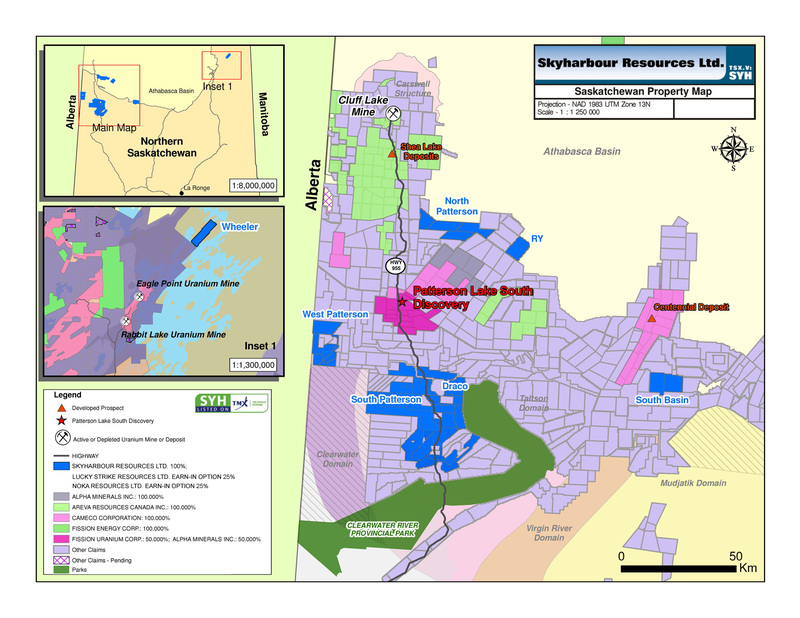 Vancouver, BC - Skyharbour Resources Ltd. (TSX-V: SYH) (OTC Pink: SYHBF) (the “Company”) is pleased to announce that further to its news release dated March 27, 2013, the Company has completed its acquisition of a 100% interest in 285,000 acres located in the Patterson Lake Region, Athabasca Basin, Saskatchewan. a deemed issuance price of $0.06 per share. The Vendor has been granted a 2% net smelter return royalty on non-uranium minerals and a 2% gross revenue royalty on uranium minerals. The shares issued in connection with this transaction are subject to a hold period and will not trade before August 6, 2013.